Kenyon Oblad threw four touchdowns, and host Liberty overcame a series of miscues to outlast Arbor View 27-23 in a battle between two of the area’s top teams. Midway through the third quarter Friday, just as Liberty’s football team took the lead, a huge lightning bolt ripped across the sky, forcing a weather delay. It proved to be a fitting metaphor for the Patriots’ quick-strike offense. Oblad connected with wide receiver Darion Acohido for a 29-yard score with 5 minutes, 35 seconds, remaining in the fourth quarter to put the six-time defending Sunrise Region champion Patriots (1-0) on top for good. 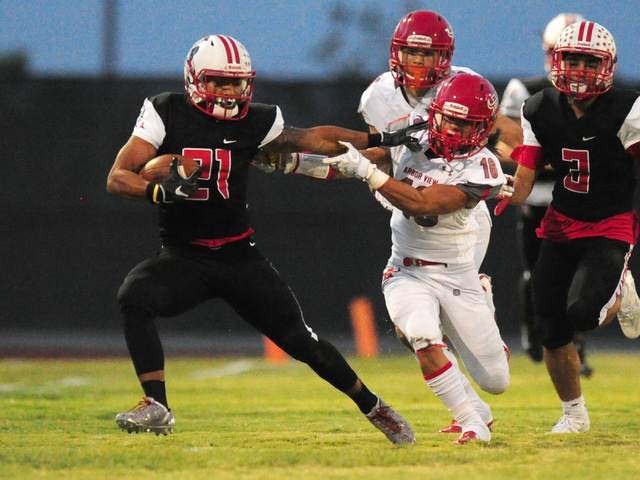 Arbor View took over on its own 20-yard line and drove to the Patriots’ 15 after quarterback Hayden Bollinger hit Deago Stubbs for an 18-yard gain on third-and-11. The Aggies (0-1) appeared to take the lead two plays later as Bollinger threw a dart to Stubbs on a slant pattern, and the junior slipped a tackle before waltzing into the end zone with 50 seconds remaining. 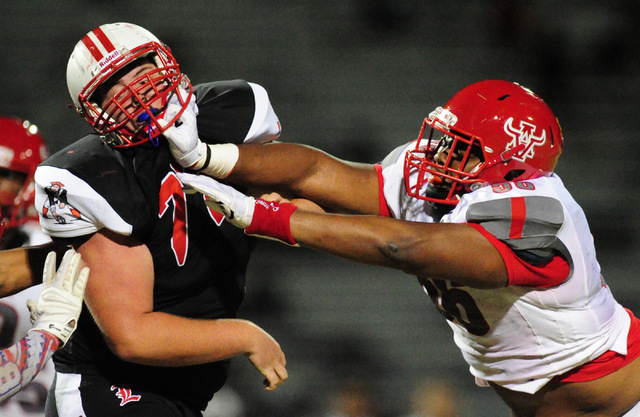 However, officials flagged Arbor View for illegal procedure on the play, negating the score. After an incompletion, Bollinger was sacked on third down and then threw an incompletion on fourth down with less than 30 seconds remaining to give the ball back to Liberty. Oblad struggled for consistency in the windy conditions and finished 10-for-32 with an interception, but the junior threw for 292 yards as Acohido and fellow wideout Ethan Dedeaux made a handful of big plays. Acohido had four receptions for 117 yards, while Dedeaux had 93 yards receiving. 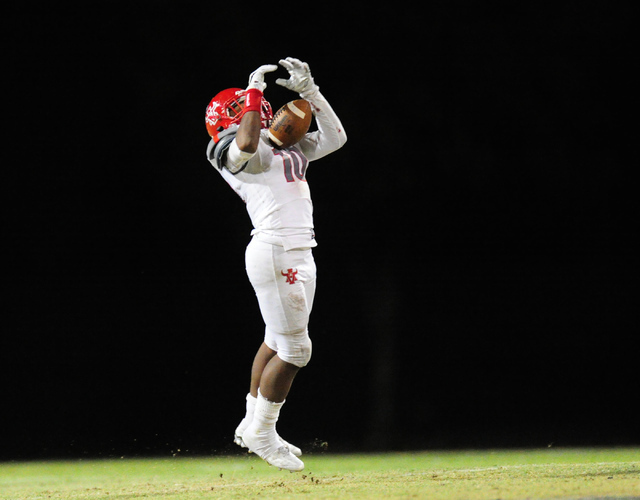 Liberty took the lead only 31 seconds into the game, and its three other scoring drives lasted 1:08, 2:08 and 2:31. 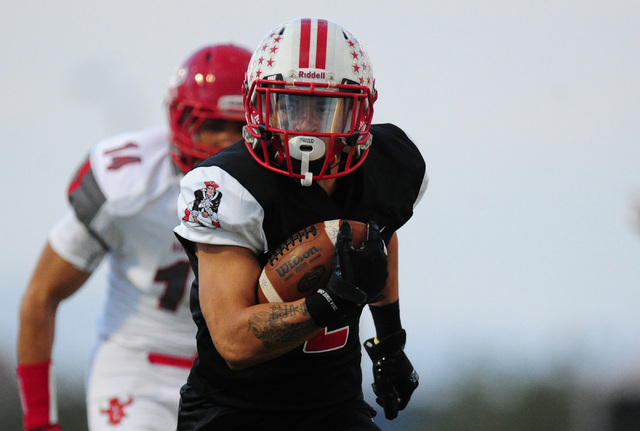 Bryson Delacruz had 57 of his team-high 70 rushing yards in the second half for Liberty. The Patriots led 13-9 at halftime as Dedeaux had touchdown catches of 42 and 51 yards in the first half. 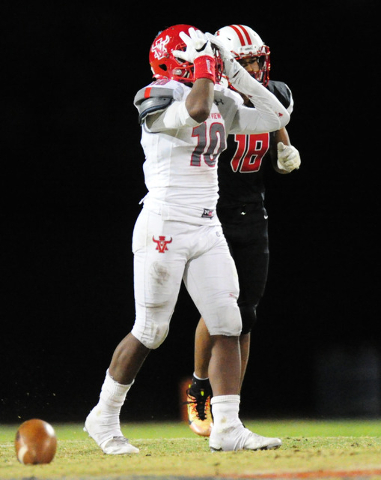 But Arbor View’s defense came up big early in the third quarter, as Mike Sims intercepted Oblad and returned it 34 yards to put the Aggies on top 16-13 with 8:19 left in the third. 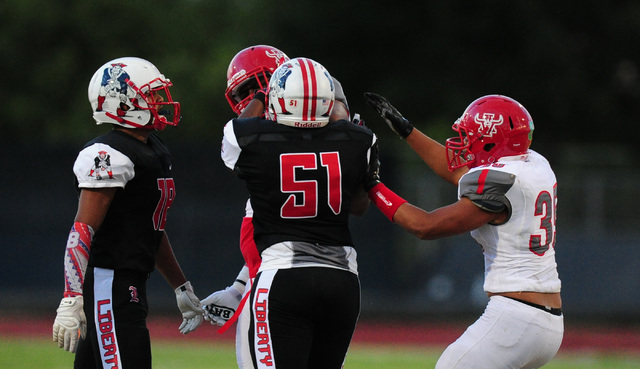 Liberty answered on its next possession, going 65 yards in eight plays. Oblad found tight end Trenton Sipes for a 6-yard score to cap the drive, and before the Patriots could line up for the point-after attempt, officials sent the teams to the locker rooms because of lightning with 6:11 remaining in the quarter. 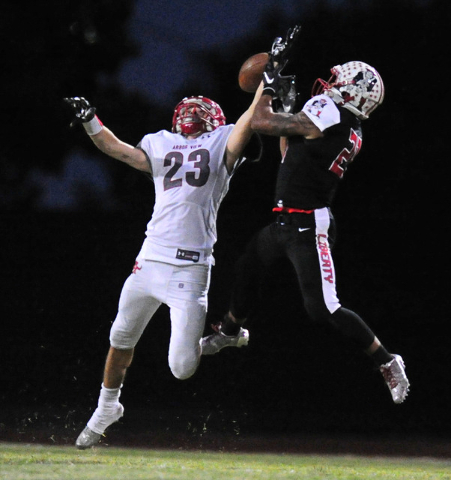 After the 35-minute delay, Arbor View took advantage of a special-teams miscue by the Patriots. The Aggies took over at the Liberty 15 following a bad snap on a punt, and Bollinger sneaked in from 1 yard out to put Arbor View on top 23-20 late in the third quarter. DeKarri Gunn ran for 81 yards and a touchdown on 12 carries to lead the Aggies.